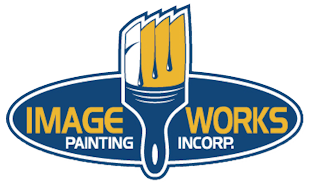 For warranty service call ImageWorks Painting, Inc. at 724-898-2446 or email info@imageworkspainting.com. ImageWorks Painting warranties that all work covered herein and completed in accordance with the job contract will be free from defect in workmanship for a period of 2 years from the completion of said work for projects performed in Pennsylvania, and a period of 2 years from the completion of said work for projects performed in Florida. Within that time period, ImageWorks Painting agrees to correct any defect or shortcoming without further labor charge to the Owner. Defects that are attributable to manufacturers or suppliers of the materials used are not the responsibility of ImageWorks Painting. Defects shall be determined in accordance with PDCA Industry Standards, where applicable. Horizontal surfaces or any surface that, by virtue of its design permits moisture to collect. Surfaces include, but are not limited to floors, decks, railings, stairs, porches, window ledges, roofs, and wood gutters. Material or Color changes made by the Customer after materials have been ordered for the project, unless otherwise specified in a written change order. Repairs caused by structural defects or design. damage or defects caused in whole or in part by reason of fire, explosion, flood, hail, acts of God, extreme weather conditions, misuse, alterations, abuse, vandalism, negligence, or any other similar causes beyond the control of the Contractor.